In the past, there were several occasions when I was scrolling through Instagram and I kept seeing people talking about a sinking fund and whether they used one or not. After coming across it time and time again I decided to Google it. After I found out what it was I thought to myself. “Oh. We’ve been using that!” I just couldn’t actually believe it had a name. Lol. And of course, when I asked Omar if he knew what it was, he said he did. So how did I spend all this time not knowing or realizing?! So what is a sinking fund? A sinking fund is money that you periodically set aside until you have enough to make your purchase or pay the bill. A sinking fund can be useful when it comes to making big purchases or paying a bill that is due bi-annually or annually. In addition, it can give you the ability to focus on saving for your purchase or bill and not worry about the “what ifs” if you already have your 3 to 6-month emergency fund. When we used a sinking fund for any of the above items, we simply calculated how much we needed to have when it was time to spend the money. We then divided that number by how many months we had to save. The resulting number told us how much money we needed to save per month in order to have enough money for whatever we were saving for. 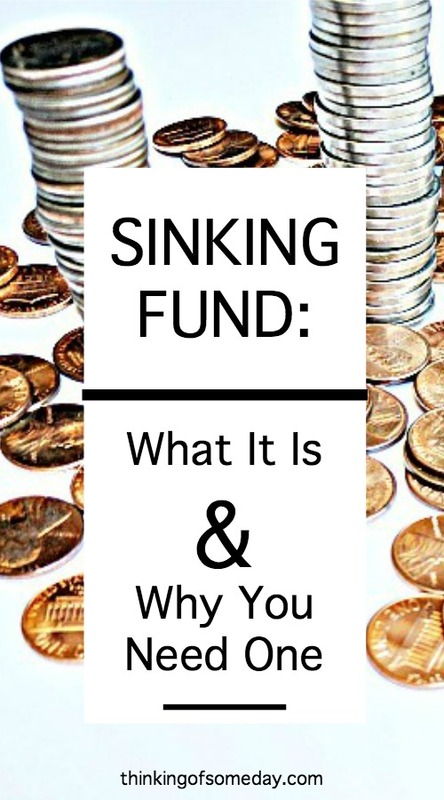 Can a sinking fund serve any other purpose? A sinking fund can serve as a backup emergency fund if something should happen and you don’t want to touch your real emergency fund. This happened to us with our kitchen updates. We were going to call the company to have our countertops replaced until one morning we woke up and it was freezing cold in our home. Come to find out, the furnace went out. They could’ve tried to fix the furnace for a couple hundred dollars, but there was no guarantee that it would’ve lasted long or even solved the problem. Given the fact that the HVAC system we had was original to our house, which was built in 1998, we decided to replace the HVAC system. Since this was an emergency we would’ve definitely been justified in using money from our emergency fund. However, neither of us felt like that was the best decision when we already had money in our sinking fund for our kitchen updates. So with slight hesitation, we used that money to replace our HVAC system. And then we took a couple more paychecks to save up to begin our kitchen updates. How can a sinking fund save you money? Using a sinking fund to save up for major purchases can save you money. It gives you time to decide if you really want to make that purchase or not, especially if it’s something that you have to save for over time. The likelihood of you regretting the purchase decreases, and it gives you more time to do research on the item and maybe even buy you enough time to catch a sale. What’s the emotional side of using a sinking fund? Sometimes it’s not always fun having to spend money, especially if it’s for something like a HVAC system that you know you will need to replace or a new roof. However, with proper planning, the pain of spending that money hurts less, if it even hurts at all. Why? Because you’ve been saving up for it anyways. On a brighter note, if you’re using the sinking fund to save up for something exciting like a vacation, once you reach that goal it can give you a sense of accomplishment to know that you’ve paid for your vacation without any debt. And don’t forget that when it comes to sinking fund items, saving up for them is something that you’ll have to be in agreement with your spouse on because more than likely the item is expensive. How does a sinking fund help with bills? 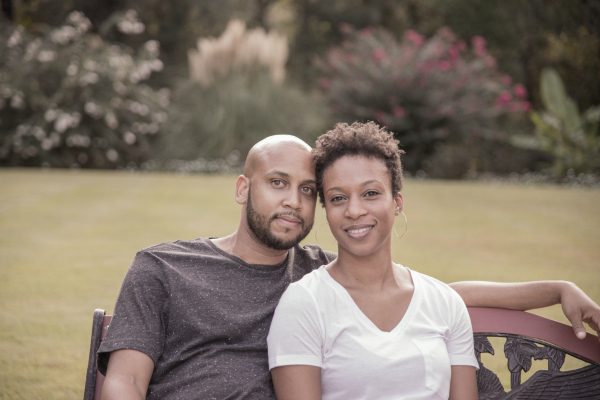 We save monthly for all of these bills, and when it’s time to pay them we have the money and don’t have to worry about coming up with a lump sum or how we’re going to fit that big expense into the budget. If you’re serious about staying out of debt, then using sinking funds is a good way to help you avoid debt. Yes, there will be no more instant gratification, but the benefits certainly outweigh the risks. Do you use sinking funds to help with bills or large purchases?